This week: The Grand Prix makes its first stop, assignment shakeups, a queen returns, and much more. The news roundup is published every weekend. Follow us on Twitter for the most timely updates throughout the week. If you have news, announcements and/or shoutouts you'd like to be included in the week's roundup, DM us on Twitter and we will take them into consideration. If you enjoy our roundups, please consider buying us a Ko-fi! There have been many updates to the assignments of the Grand Prix. The entries for the CS Alpen Trophy 2018 have been released. Notable entries include Camden Pulkinen, Adam Siao Him Fa, Dabin Choi, Daria Panenkova, Mishina/Galliamov, Feng/Nyman, Sinitsina/Katsalapov, and McNamara/Carpenter. The ISU has announced the schedules for both the GP and JGP for the 2019-20 season. They can be viewed on this communication here. In The Loop is now available on Spotify! Confused about how to read competition schedules? Our ITL team member Evie put together a guide on how to understand them! 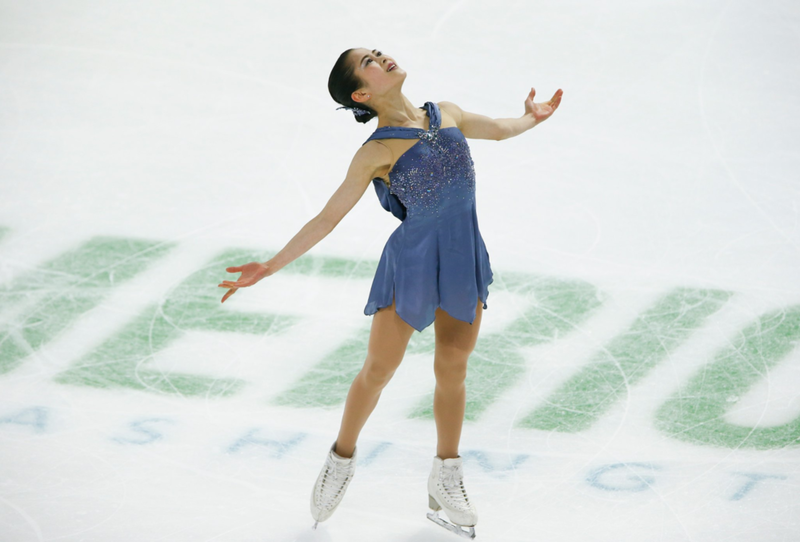 The first stop in the 2018-19 ISU Grand Prix of Figure Skating was in Everett, Washington with Skate America this weekend, and contained a jam-packed lineup containing many current World medalists. To see the standings of the Grand Prix Series, please visit the ISU’s website. Hubbell/Donohue set two new World Records at this event for the Free Dance, with a score of 122.39, and for Total Score, with a total of 200.82. Nathan Chen set two new World Records at this event, for the Free Skate, with a score of 189.99, and for Total Score, with a total of 280.57. Young You (KOR) has been filmed practicing a quad Lutz in training. You can view the video here. Yuzuru Hanyu (JPN) has been nominated for the Global Outstanding Young Persons Prize in the 2018 Big Ben Awards, alongside names such as Justin Bieber and Lang Lang. The Big Ben Awards, established in 2008, endeavors to establish and promote models of high achievers and brands (cities and companies) around the world. Winners will be announced in January 2019 (source). USFSA’s Fantasy Figure Skating is starting with the Grand Prix series. Participate now for the chance to win tickets to US Nationals! We’re loving this preview of the Grand Prix series made by talented fan and videographer Aeterniti - check it out! Did we forget some news? Help us be even more comprehensive next week by DM-ing us news on Twitter! If you enjoy what we do, please consider leaving a donation on our Ko-fi page.